I read this article and found it very interesting, thought it might be something for you. 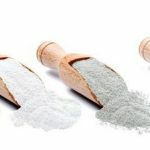 The article is called How To Use Bentonite Clay (And Other Miraculous Cosmetic Clay) and is located at https://homemademasks.net/beauty-blog/bentonite-clay-and-cosmetic-clays/. There is more to cosmetic Clay than the famous red bentonite clay. But if you want to improve your skin’s appearance, do try a clay treatment. Choose from 5 types, the one that works for your skin! So it plays an important role in cosmetics and its qualities have been acknowledged since ancient times. This miraculous mud was frequently used to cure various skin conditions, but also to keep skin young and beautiful for thousands of years. Today we can purchase bentonite, and other types of clay from pharmacies and shops that sell natural cosmetics. Clay can be the solution for various skin problems, as it can help remove impurities, release toxins and irritant substances that can cause problems for your skin. It can also reduce inflammation, improve circulation and absorb excess of sebum. Each type of clay has a different texture and color which come from the minerals it contains. The colors range from from red, brown and green to yellow, white and even pink. Contains over 70 minerals and has antibacterial properties that help reduce acne, improve circulation and heal skin inflammation. You can use this clay twice a week if you have acne. One of the most versatile types of clay and it is mainly used in cosmetics due to its antibacterial and exfoliating properties. This type of clay can be used to remove dirt and clean your pores, but also regenerate skin cells. For a flawless complexion, white clay is the solution, as it is suitable for all skin types. Absorbs toxins and purifies your skin. Its colors are given by its content of minerals such as: iron and magnesium. Green clay is perfect for oily skin types, as it can help remove blackheads and excess of sebum. Green Clay has a tonic action on the skin, leaving it fresh and revitalized. You can use green clay based treatments weekly. Another type of white clay and is used as a skin lightening agent. It contains silicon, iron and magnesium. This type of clay is suitable for oily or acne skin complexions as well as for blemishes. It efficiently absorbs the excess oil from the skin so confidently include this ingredient in any face masks destined for oily skin. Has a reddish-brown colour and is a product highly preferred by spas. It is rich in minerals like potassium, calcium, magnesium, silicon, sodium and has astringent and absorption properties. Rhassoul clay is a natural mineral clay mined in the Atlas Mountains of Morocco since the eighth century. This particular type of clay has been used by Moroccan women for centuries to care for their skin and hair. Rhassoul Clay improves the elasticity and clarity of skin while moisturizing it at the same time. There are products on the market such as: facial masks, shampoo and hair conditioners that contain this type of clay. For dry skin: Mix a small amount of water with clay until smooth. Keep the face mask on your face for just 5 minutes and remove it before it completely dries out. For other skin types: Water should be replaced with honey, yogurt or milk. Keep the mixture on your face for 15-20 minutes. If you have dry skin, keep the face mask on your face for just 5 minutes and remove it before it completely dries out. Experts say that clay wraps can not only help maintain a beautiful skin, but it can also help with the weight loss. To prepare this treatment boil two cups of water and add a quarter cup of salt over. Wait a few minutes for the salt to dissolve and add a cup of green clay and two tablespoons of olive oil. If you think that the consistency obtained is too thick, add some more water. Apply this mixture on the needed areas and wait half an hour before rinsing it out with warm water. In alternative medicine, clay is considered to be very beneficial due to its detoxifying and relaxing properties. Mix two cups of clay powder in hot water until completely dissolved. Soak in the bath for at least 20-30 minutes and you will lose any muscle tension.